Here is something interesting - Glenn Beck either lied or just failed to read the details regarding a story he mentioned on his recently canceled Fox News program. 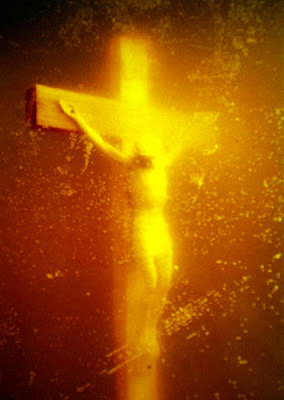 During his nightly broadcast, Glenn Beck claimed the controversial photograp called "Piss Christ," featuring a crucifix submerged in urine, was attacked by anti- Christian activists targeting religious artwork. The defacement of art is a horrible thing and the offending parties should be punished to the extent that French law allows. However, the vandals are reportedly Christian fundamentalists, not "anti-Christian" activists, as Beck claimed. Glenn Beck tried to make it look like Christians were being persecuted abroad when in reality, it was Christians who acted out. Right-wingers like Beck would want you to believe only Muslims engage in violent actions against "blasphemous" artwork, but it appears Christianity has it's extremists too.